As Kickstarter celebrates its sixth birthday, its achievements are monumental: there are 7,678 live projects on what is the biggest crowdfunding platform in the world – double the size of three years ago. With 3.3 million backers funding 22,252 ideas with over half a billion dollars in 2014 alone, it's a clear indication that crowdfunding is in rude health. But is everyone still managing to catch their fair share? Pebble Time's record breaking campaign earlier this year was a timely reminder of how crowdfunding is becoming a plaything of the tech giant as well as the plucky start-up. Sony, of all companies, launched the FES e-paper smartwatch on crowdfunding site Makuake in Japan while, away from wearable technology, Zach Braff, Spike Lee and the Veronica Mars movie were all big names in film before they turned up on Kickstarter. Even legendary games developer Peter Molyneux funded his game Godus on the site. But should Kickstarter be a place for successful enterprises to tout their wares? And should we expect more from big companies using crowdfunding platforms than smaller outfits? After all, the Sony FES watch is still to make an appearance six months after its funding round, and the development team behind Godus has said it won't be able to deliver the full game as promised, despite being backed to the tune of $500,000. Six years on, what is Kickstarter today? As stated on the company website, Kickstarter's mission is "to help bring creative projects to life" and it describes itself as "a tool available to anyone...big or small, established or indie, serious or fun." While blockbuster campaigns certainly fit under that umbrella, allowing big brands to participate in raising funding from consumers before a product has been made certainly raises questions about whether it's in the spirit of what crowdfunding stands for. Pebble was born from crowdfunding. Our biggest strength is our million strong community of backers, developers and early adopters. These are the people who have made Pebble what it is today. "Projects aren't fighting over a finite pool of Kickstarter dollars or backers," continues the statement. "One project's backer isn't another project's loss. 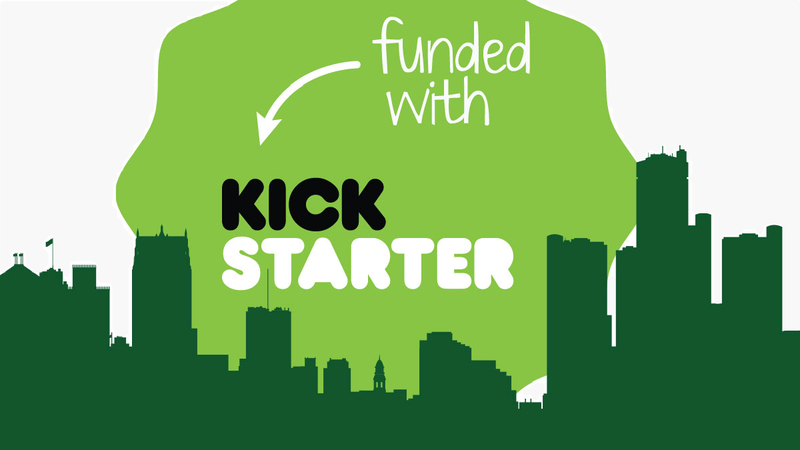 Each project is not only promoting itself, but the Kickstarter ecosystem as a whole." Whether you're Molyneux looking to build a beautifully hand-crafted video game, De La Soul trying to avoid the labels or you want to shoot your movie without having to attach Tom Cruise to the lead role, then crowdfunding seems like a wonderfully valid, win-win way for both the creatives and the audience to get what they want. But size is relative. So is it right that a company like Pebble – which has sold over a million smartwatches in the past and stated that work on its Pebble Time was already "nearly complete" – should launch its third smartwatch as another Kickstarter campaign? If the project had already been "brought to life", to quote the Kickstarter mission, then just what was Pebble using crowdfunding for if not for the actual funding? "We're still a small company battling some of the largest competitors in the world," said Migicovsky in the Pebble Time campaign video. "We believe that this is the best and most efficient way for us to get our latest product to the people who want it most: people like you." It's probably fair to say that, again, relatively speaking, Pebble is small. It's not Apple; it's not Samsung, and it's likely to be efficient for them to write off that 10% cut that successful projects pay Kickstarter to use the site as a retail platform. But where using Kickstarter like this really has to work for Pebble is as a tool for marketing and PR. Launching a new smartwatch writes headlines but breaking all manner of funding records at the same time gets them read further and wider. And, last of all, it's a very tidy way of guaranteeing sales without needing to take the risks of production. The Head of Special Projects at Pebble, Ben Bryant, was the man leading the charge for the Pebble Time campaign on Kickstarter. Instead of being about the money, per se, he described the idea of crowdfunding to Wareable as "about building a connection between the maker and its community" and that it "lets the people who will be ultimately consuming the idea judge its merits" which certainly encompass the ideas of customer communications and product feedback as two of the primary facets. "Pebble was born from crowdfunding. Our biggest strength is our million strong community of backers, developers and early adopters. These are the people who have made Pebble what it is today. It's natural that we'd want to connect first with our most avid users." So, fairly uniquely for Pebble, there are the advantages of stoking the developers' fires and keeping that sense of camaraderie amongst its users – both of which will be important in the fight against Apple and the other smartwatch multinationals. Whichever way you look at it, though, crowdfunding certainly seems a long way from raising the money to turn a prototype into production. In fact, marketing is one of the biggest keys to a successful crowdfunding campaign and, as the pool of projects gets larger and the fish within it sometimes the size of crocodiles, it's increasingly important that your get yourself noticed. "Most people browsing on Kickstarter look at the featured projects and staff picks. Those are projects that are really, really innovative or have lots of backers," says Nabyl Bennouri, founder of Ultra, a UV-sensing wearable that fell short of its Kickstarter target of $100,000 by just under $30,000. "The thing you have to do is get both coverage of your product and a few hundred backers for the first few hours before you start your campaign. What happens with Kickstarter is that the project gets put there; it's brand new but it's sitting with all the other products. To get it higher and more visible, you have to have a lot of backers in the first hours of the campaign. That makes it higher ranked and gives it even more backers still. It's like a feedback loop." It's easy to see how a bigger company might be able to game such a system to put itself head and shoulders above everyone else. Just as the click farms existed for falsely creating display ad revenues, it would be easy enough to cycle some company budget through the system in the guise of backers that don't really exist. Even if everyone is playing fair, the disparity of resources is still very telling according to Bennouri. "The advantage that the big companies have is managing the crowdfunding campaign, responding, advertising on social media and having press coverage. For us, the same development team was the marketing team. So, we were trying to find time to work on the project and post things on our Facebook page, contact bloggers and everything else. The marketing and PR is the advantage that big companies have on us." Fortunately, while Violet and Bennouri never received any of the $71,505 that the project did raise - such are the all or nothing rules of Kickstarter - they were able to contact the backers privately and converted an impressive 80% of them into product pre-orders which will be shipping later this year. So, it some senses, it's not really the crowdfunding money that itself is important. "I think a lot of companies use crowdfunding now as more like promotions for their projects," Bennouri reflects. "They can become viral on Kickstarter and that actually makes it harder for companies like us. We can't deliver as fast as them. Now backers expect you to be able to deliver in two months like Pebble does. In our case, we needed nine months, we needed prototypes and it was hard to convince them to pay and then wait that time." So, while the bigger players in crowdfunding might have that blockbuster effect that draws in more potential backers, at the same time, with their more impressive, star-studded and glossy look campaigns, it raises the bar of what the community of patrons come to expect. If your idea can't keep up then it's going to get crowdsunk, rather than crowdfunded. It's a frustration echoed by CEO and founder of Gaiteye, Christian Harpsøe. Gaiteye - a shoe-worn device that analyses your running performance in real time - had the misfortune of launching its campaign at the same time as two similar competitor devices from US companies with far greater resources behind them. "The Kickstarter portal is great and the crowdfunding idea is fantastic especially with the banks not wanting to give you loans and we got a lot of good feedback," explains Harpsøe. "But you could say that Kickstarter has transformed itself into being more a big company marketing portal than a entrepreneurial portal." "Some of the videos are almost Nike standard. That pushes people to support them instead of the entrepreneurs because it looks less risky but some of these products aren't even as far along in development as they promote they are but have really good marketing behind them." "So, you could say that the initial idea with Kickstarter to fund teams, like ours, where we ourselves are investors and we don't have the money that many others have; that is becoming more difficult all the time because we are competing with so many projects out there that have marketing budgets that we only dream of." The importance of PR and marketing in running successful campaigns has become so great that there's even an industry of agencies which ambulance chases new projects offering the help with all you'll need to optimise your campaign and attract more backers. "That's a jungle of small business," describes Harpsøe. "We tried to do some of it in order to get some extra PR once we were live and nothing good ever came out of it. We might as well have done it themselves." "So, you're drowning a bit as a small entrepreneurs in the Kickstarter community which is also why you've seen these other crowdfunding sites showing up where there's a smaller community where you're not lost as a small player." And therein may lay the answer to much of this. Where crowdfunding goes from this point in might come down to the individual platforms and their choice of mission. Kickstarter, and most of the others, have decided to leave room for the bigger players and give perfectly valid reasons why they should. While the stats show that these higher end campaigns are good for growing the backer community, it's clear that it also makes life tougher for the little guys at the same time. It's also a tough call for Kickstarter. It's a big company which itself needs to keep growing and turning down their cut of all big business would be a hard thing to do. If it is choking out the smaller players with whom crowdfunding was originally associated, then Kickstarter is in danger of losing its image as a champion of the underdog. But businesses must evolve, and while start-ups may complain, Kickstarter must do the same.